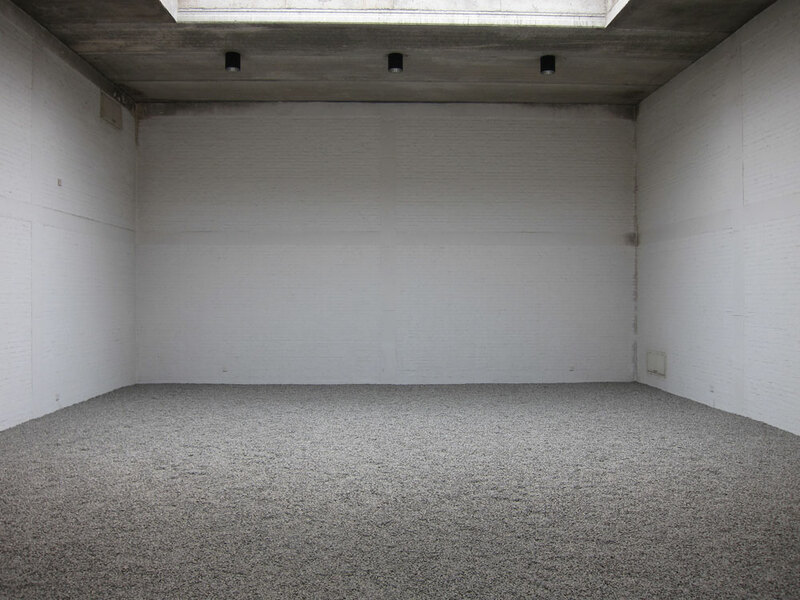 I arrive at Ai Weiwei’s studio on a weekday in June. It’s a warm, uncharacteristically clear morning in Beijing and I find Ai sitting outside, in a T-shirt and shorts, with three young assistants. We exchange pleasantries and then the talk turns to business. I’ve been invited to write about a new work that Ai is developing. I know where it will show and when the show opens, but very little else. What little I do know is based on a chance conversation I had weeks earlier with Inserk Yang, one of Ai’s collaborators. He’d spoken about the work in impressive, unclear terms. It was a very, very big production, he’d said. That didn’t surprise me. Ai has done some big projects in the past, and the venue seemed to demand a tribute of scale. When I asked what the content was, Inserk was cagey, but he gave a clue. ‘It’s not something,’ he said, ‘it’s many things’. Ai is more direct. 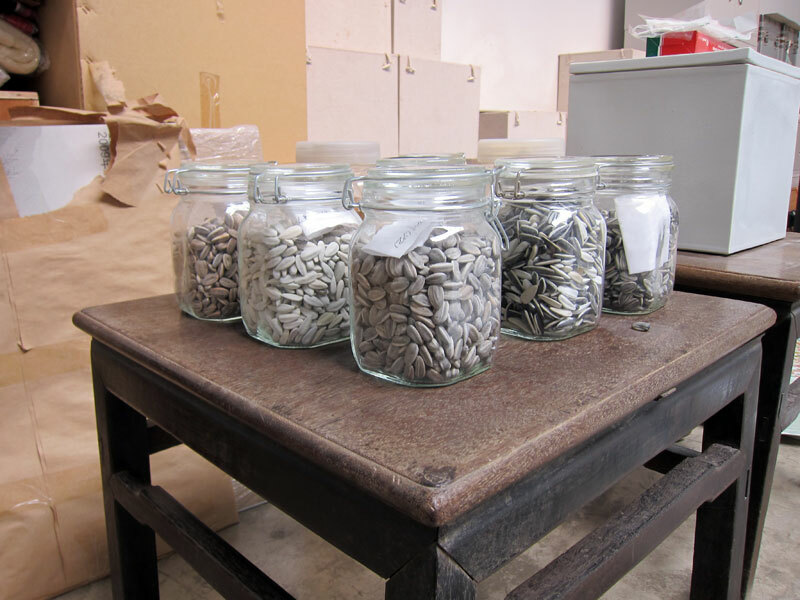 Ceramic sunflower seeds, he says, 100 million of them, each handcrafted and spread across the floor of Tate’s Turbine Hall like stones in a Zen garden. I’m not sure what to make of it. Sunflower seeds. I search my thoughts for some personal associations and come up empty. But I know enough about Ai’s work to see where they fit in. 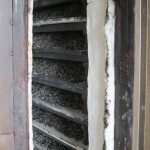 For years, he’s been rendering commonplace objects in precious materials – coal hives[?] in bronze, junk doors in marble, and watermelons, backscratchers and even urine in porcelain. The sunflower seed is next in line. There must be a connection. We head inside to see a mock-up of the installation. I’m not sure what to expect. What I find is hard to describe. The floor is covered in an unidentifiable, granulated gray matter, about ten centimeters thick. I try to place its look, but again draw a blank. It doesn’t look like seeds to me. From a distance, it appears totally generic, a kind of placeholder substance, something you might use to pave a driveway or line a coat. We don’t spend much time in the studio. After briefly stomping on the seeds, I accept the assignment and say goodbye. I return a couple of days later. It’s early morning and the studio is mostly deserted, but Ai has been up for hours already. I find him at his computer, enthusiastically composing a Tweet. Beside him is a plastic bag with steamed dumplings inside. He hands it to me, and I watch him type. I’m better informed this time. In the forty-eight hours since our last meeting, Inserk has sent me a PDF entitled ‘1 – 125,000,000’. It’s an illuminating read – part proposal, part polemic, part memoir – penned by Ai in passionate, imperfect English and intended to explain the installation to its commissioners. You are the reddest red sun in our hearts! 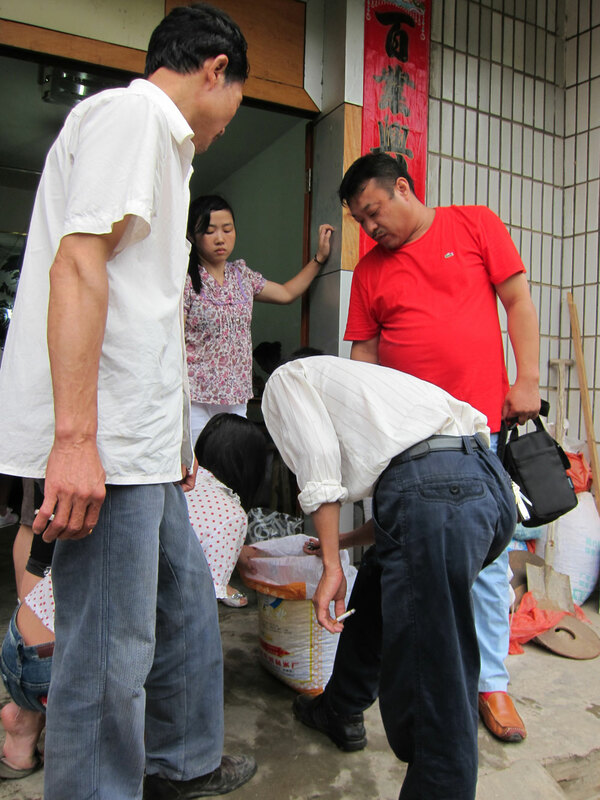 I have a weakness for Cultural Revolution stories, so I decide to start our sunflower seed discussion there. Ai obliges. All this he says with the detached, deadpan expression with which he often describes his work. But, as in his work, there seems to me so much smoldering beneath the flat surface of this anecdote. Within a single childhood memory, so much insight into the spirit of a time: the radical reduction of symbolism, the atmosphere of uncertainty, the threat of violence and occasional celebration, the fervor and sanctimony, the deliberate opaqueness of the directives, providing their author plausible deniability and their enforcers maximum creative licence, the pseudo-statistical identification of five ‘bad categories’ and transfer of guilt to children. And somewhere within all this, the humble sunflower seed – snack, symbol and sedative. ‘That’s all they had’, he says, and I’m not quite sure what he means. ‘The seeds were the only little treasure they had.’ He is speaking with objectivity but his tone has softened. ‘Sunflower seeds were a part of conversation; it was a very natural act. On the train, on the bus, waiting for the bus, everywhere. Of course, at weddings and any celebration, you’d see them. You’d feel a natural connection eating them with someone.’ One of Ai’s assistants comes in with news of an upcoming appointment. 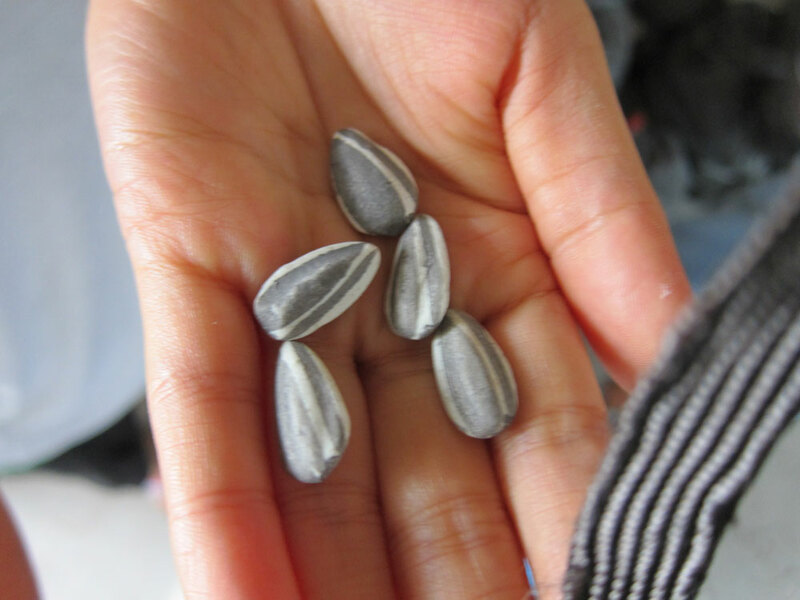 I think I’m beginning to get it: during the Cultural Revolution, the sunflower seed was a kind of peace offering. In an atmosphere of pitched ideological struggle, it soothed and built intimacy. I begin to wonder if, despite its revolutionary symbolism, the sunflower didn’t subvert Mao’s fundamentalist programme, and whether the sharing of seeds wasn’t a form of passive resistance – a way for would-be adversaries to acknowledge their common humanity, a subtle means for even the most zealous Maoist witch hunter to show compassion for a bad element like Ai Weiwei. ‘But of course,’ Ai continues, ‘it was all unconscious. You wouldn’t think about who’d passed them to you.’ And there the conversation cuts off, overtaken by the artist’s obligations. I pledge to return the next day to spend some time testing his mock-up. When I arrive the next morning, the compound is already active. An antique dealer has laid out several pieces of Neolithic pottery in a column along the wall. A brown dog is inspecting a mound of bubble wrap by the front gate. Ai is conversing with a middle-aged man who is holding a life-sized replica of a surveillance camera carved out of marble. The artist orders a few adjustments, then leads me into his studio and onto his latest work. I ignore the visual this time and focus on hearing. Each step produces a satisfying crunch. It’s a familiar sound, disarming and rural, evocative of country lanes and gravel driveways, and the more I walk, the richer the accent becomes. Different motions produce different effects. A sweep of the leg brings a thin, shimmering sound; less natural, almost digital. A kick scatters seeds in all directions, each landing with its own trebly tone depending on the distance. I grab a handful and shake. They clack like dice. I drop them back. They sputter and snap like a Geiger Counter. I pick one up and take a look. Almond shape, slightly thicker than the sunflower seeds I’ve encountered in nature. Clearly ceramic – smooth, hard and off-white – with a pointed oval painted in charcoal-coloured ink on each side. It is coated in a light powder that stays with me after I’ve dropped the seed. I begin to wonder about the social involvement that Ai mentioned. Jingdezhen is the pottery centre of China and the original home of the world’s porcelain industry. It has held this position for hundreds of years and changed remarkably little even amid the turmoil of imperial transition, foreign invasion, Communist revolution and post-communist reform. 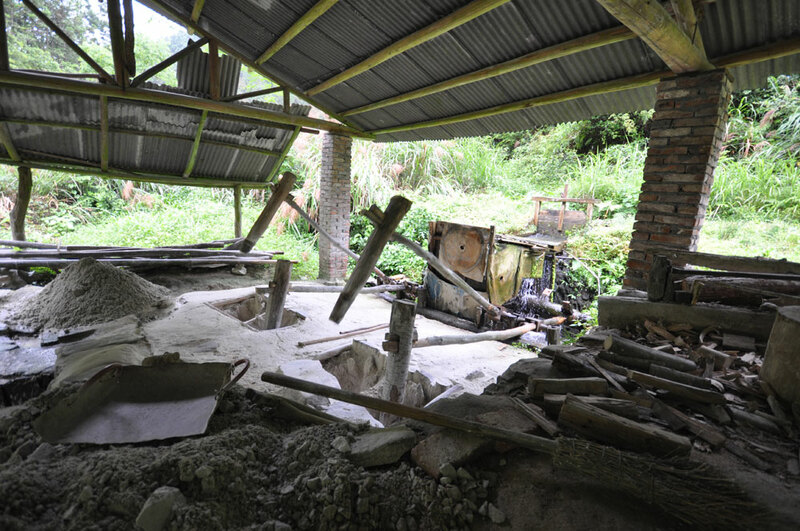 It owes its preeminence partly to geology: Jingdezhen has a natural advantage over China’s other ceramic-producing cities due to its ample, easily accessible supplies of clay and feldspar, the essential ingredients of porcelain. The low, rocky hills surrounding the city have been mined continuously for generations and yet these raw materials are almost never in short supply. The miners have to dig deeper now, their work is more dangerous, but it continues to yield the precious minerals on which the city’s reputation and livelihood depend. 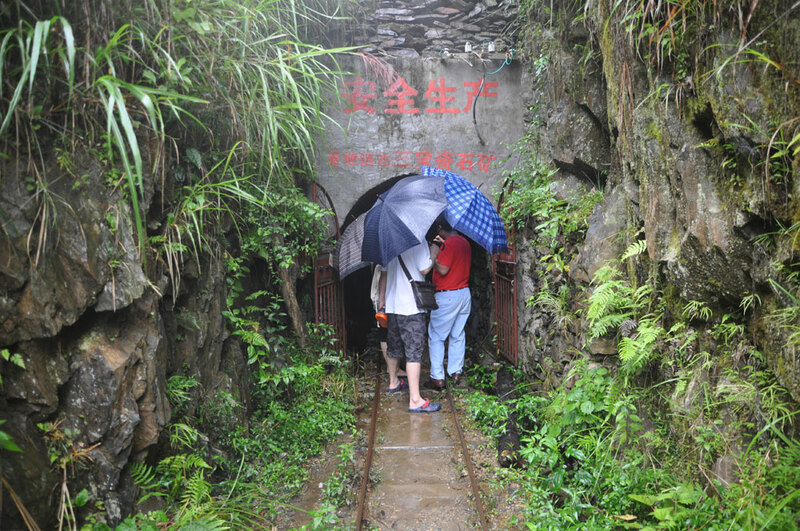 To reach one of these mines, Liu Weiwei drives an hour or so outside of the city. 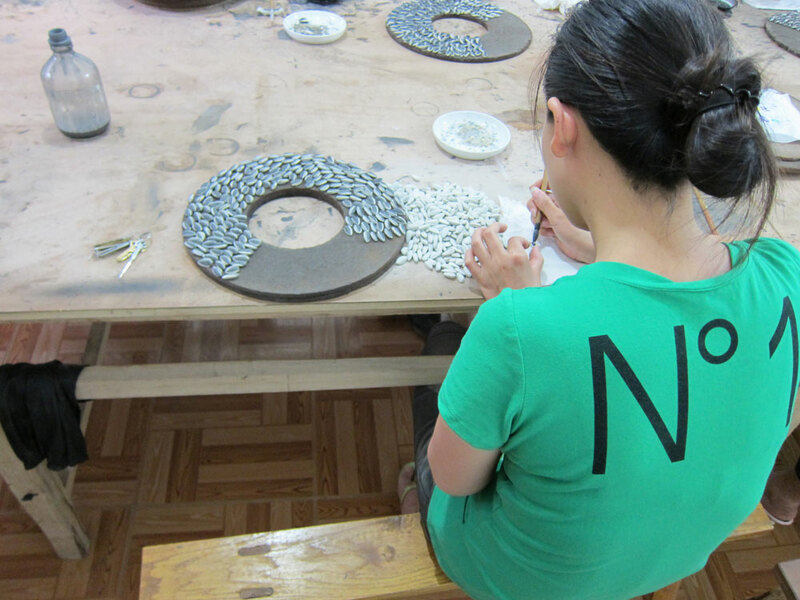 In Jingdezhen, the line between urban and country is sharp, and crossing it feels like time travel. The high rises and sooty buses and busy people disappear and you suddenly find yourself in a medieval world of rice and tea, lethargic oxen and stooped labour. The air feels cleaner; the stink of the city – exhaust, spilled fuel and sulphur – is replaced by the earthy smell of wet roots and peels. The buildings are made of wood and roughly mortared brick, and even those that are undergoing expansion have an air of decay. As you drive further, the road gradually decomposes until you find yourself on a narrow dirt lane that stops abruptly before a heap of broken rock. The mine itself is fairly unremarkable. The entrance is inconspicuous: just a small arched opening on the side of a hill, below a sign that reads SAFE PRODUCTION. The ground is tracked to allow for mine carts, and the roof drips water. 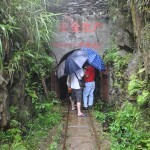 According to Liu, the shaft extends for two kilometers, but we don’t take more than a few steps in. I had hoped to speak to someone, but the place seems deserted. The only indication that the site is still active is a small shrine built by the miners. A slight scent of incense still hangs around it, so I assume it’s been in recent use. A small sign above it reads 有求必应 (Ask and ye shall receive). I ask Liu what the miners wish for. He says, ‘Safety’, and we leave. On the train from Beijing I’d read an account of the porcelain manufacturing process written by a missionary stationed in Jingdezhen in the early eighteenth century. It is a fascinating text, a mixture of ethnography and industrial espionage in which the author describes in detail the arduous process through which hunks of raw rock were turned into the milky chinaware coveted by his European readers. 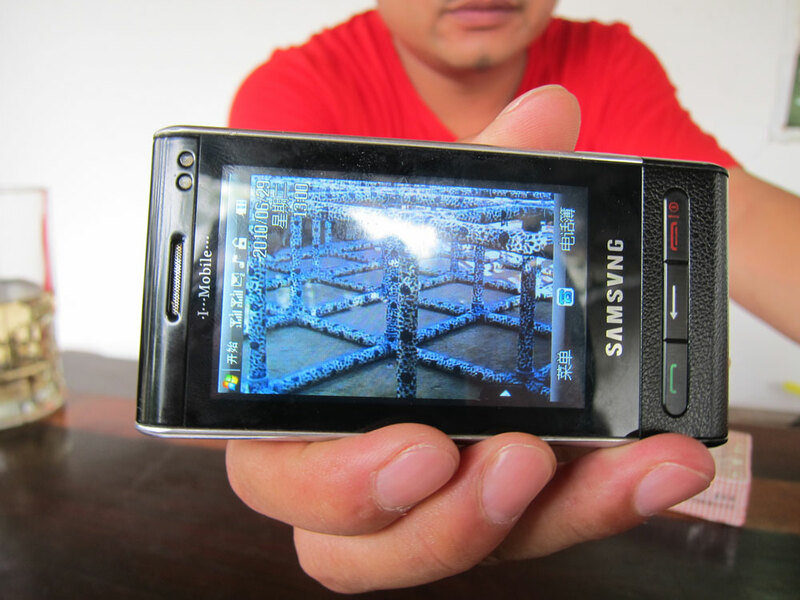 It describes Jingdezhen as a marvel of mass production – a city given over to a single industry, operating at an enormous scale through entirely pre-industrial means. I’d read the piece mostly for entertainment, assuming that the procedures it described were long since outdated. This is not the case. 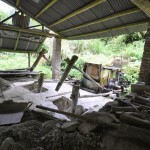 Not far from the mine is a small plant where the excavated rock is processed. I suppose you would call this place a refinery, although that term evokes heavy industry and air pollution. This place is not like that; it’s all natural. 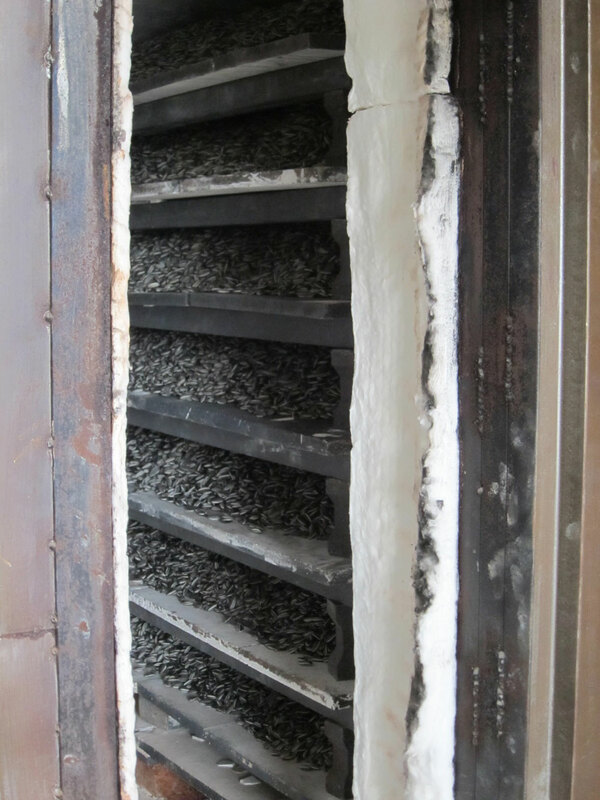 Its heaviest piece of equipment is a wooden, water-powered machine that pounds porcelain stone into powder. Liu’s assistant says that this device has been in use for over a thousand years, and it looks that way. He explains how it works: The pieces of stone are first broken with iron hammers, then the fragments are collected in mortars where trip hammers pulverise them. The hammers rise and fall based on a system of levers connected to a small water wheel. A stream feeds the wheel and provides perpetual motion. It is a clean, efficient operation that apparently requires very little human supervision, because the plant is empty. The powder is then put into a great vessel filled with water, and stirred vigorously with an iron shovel. When it has been allowed to stand several minutes, a kind of cream forms at the top four or five fingers thick; this they take off and put into another vessel full of water. 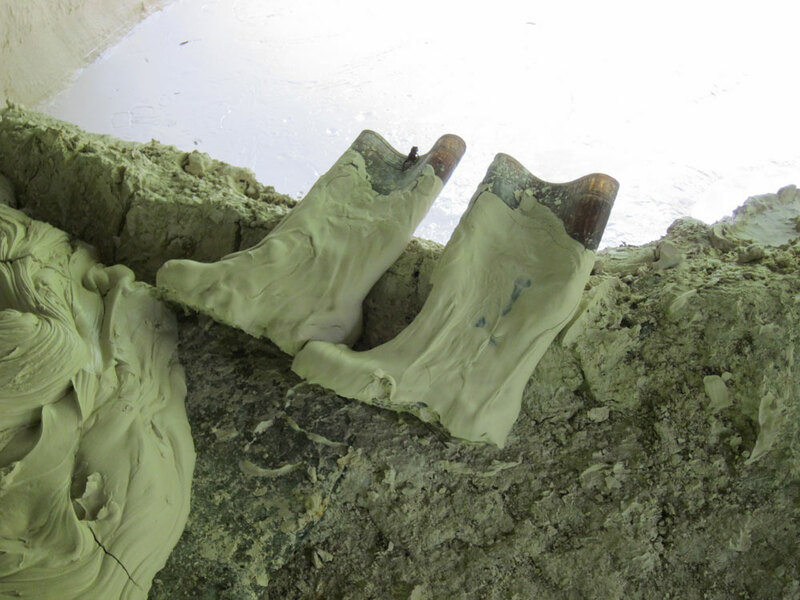 The mixture in the first vessel is stirred up several times, and each time they remove the scum that gathers on the top, until nothing is left but the larger particles, the weight of which makes them sink to the bottom; these are finally taken out and again pounded. This skimming process produces a thick paste, which resembles meringue. Enormous gobs of it are laid out on tarps in the centre of the plant. This paste is then thrown into moulds, which are a kind of large and wide wooden box, the bottom of which is a bed of bricks with an even surface. 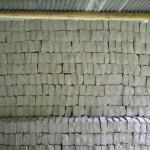 Over this brick bed a coarse cloth is stretched, up to the sides of the case; this cloth is filled with the paste, and soon afterwards they cover it with another cloth on the top of which they put a layer of bricks laid evenly, one by the side of the other. This helps to squeeze out the water more quickly without losing any of the porcelain material which, as it hardens readily, takes the shape of the bricks. 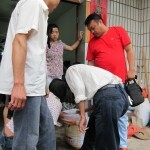 Before it has become quite hard the paste is divided into little bricks, which are sold by the hundred. These soft, off-white bricks are stored on racks and lined up on the floor. From here they are shipped to porcelain factories, where the powder is further refined, then mixed with clay to form a cohesive, camel-coloured material that I will watch Liu hand-press into a sunflower-shaped mould later that day. Liu is forty-nine. He has a plump face and a low, gravelly voice with a slight lisp. He speaks in short declarative sentences and dresses in casual clothes. 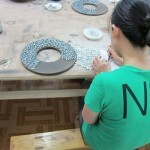 He was once a dealer of Chinese antiques, but now spends most of his time creating porcelain artworks for Ai Weiwei. The courtyard of his home is filled with fruits of their collaboration: a cobalt blue orb (‘Ai showed me beautiful photos of these on a beach in Miami’), an oil droplet (‘It was supposed to be bigger, but it always cracked, so the size had to be reduced’), human organs (‘The most difficult piece we’ve ever done’), a grid of interlocking tubes (‘These are in an exhibition in Basel right now’). The painting takes place in an unfurnished two-storey house on a leafy street somewhere in Jingdezhen. We pull up in Liu Weiwei’s van and one of his assistants immediately starts unloading sacks of unpainted seeds from the back. Through the windows we can see groups of women – only women – hunched over plywood tables. The air outside is filled with the smell of alcohol-based ink and the soft sound of female chatting. We enter without introduction. When the women notice the visitors, they become quiet, diligent. 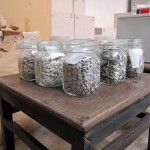 Before each of them is a pile of blank ceramic seeds, like the ones we’ve just brought over. I’m not sure where to look, so I watch the woman closest to me. She’s wearing black jeans and a slim-fitting polo shirt with bright stripes. Like most of the painters, her hair is black and tied back. To her right is a shallow bowl of black ink and beside that an identical bowl filled with water. To her left is a flat wooden ring, half covered with painted seeds. She places a finished seed on the ring and immediately picks up a blank one. She holds it in her left hand, between the thumb and index finger. Her right holds the brush, which she grips like a pen. As she paints, both hands work in tandem, the left gently gliding the seed beneath the brush while the right holds it steady. She ends each stroke with a slight upward flick of the wrist. Four strokes and one side is done. 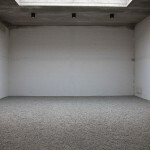 Liu Weiwei is no longer in the house. He is outside discussing the work with a woman whom I presume to be a supervisor of some kind. They’re bent over a sack of painted seeds. Some are OK, he says, but some are not. The bad ones can’t be used. Across the street is another house where more painters are working. It’s dingier than the first one and not as well ventilated. The women inside range in age from late teens to early forties. They’re sloppier than the other group, and chattier. I start asking questions. 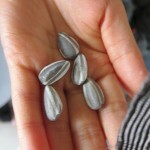 Q: Do you know what these seeds are for? One word, then back to painting. I’ve started off on the wrong foot. I try another approach. Q: Is it hard work? A: It’s OK, the time is flexible. We can also work at home. Maybe this more sympathetic question has warmed the atmosphere, because all five women now look up from their seeds. Q: Are you all painters? A: Some of us used to paint porcelain. Q: So this is much simpler than that? A: Yeah, it’s easy once you know how to do it. Q: How many do you paint in a day? A: Two to two and a half kilos. On average, each one of us has painted over 500 kilos. 500 kilos. At about 700 seeds per kilo that’s 350,000 seeds. 2.8 million brush strokes. It’s hard to fathom in this tiny, ink-scented room. I take another shot at discussing the significance of their work. Q: Do you know where these are going and what they’ll be used for? A: No, we don’t know, but we know they’ll be used to make money. Another brief, withering response. And, again, my impulse is to retreat to tame personal queries. Q: After all this, do you still like sunflower seeds? An icebreaker! I try to probe deeper. Q: How do you feel about doing this work? A: To me, if people understand art, they might enjoy it. A thousand? And this for a production that, from what I’ve seen, barely uses electricity. I ask how he maintains quality with such a large team. He says, ‘We have many people taking care of the quality. We’re all very strict. If we see bad ones, we just throw them away. That’s a loss for me, but we have to be tough on this, otherwise it would be hard to control.’ I’m finding my emotions somewhat hard to control. Despite its superhuman scale, nothing in this production is automated. 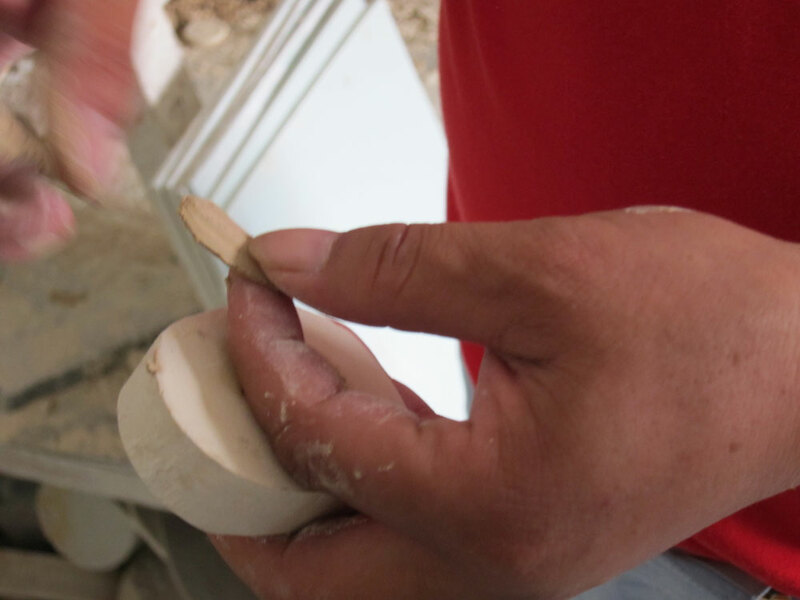 The seeds are handcrafted: the porcelain stone is excavated by hand, pulverised, and mixed by hand. 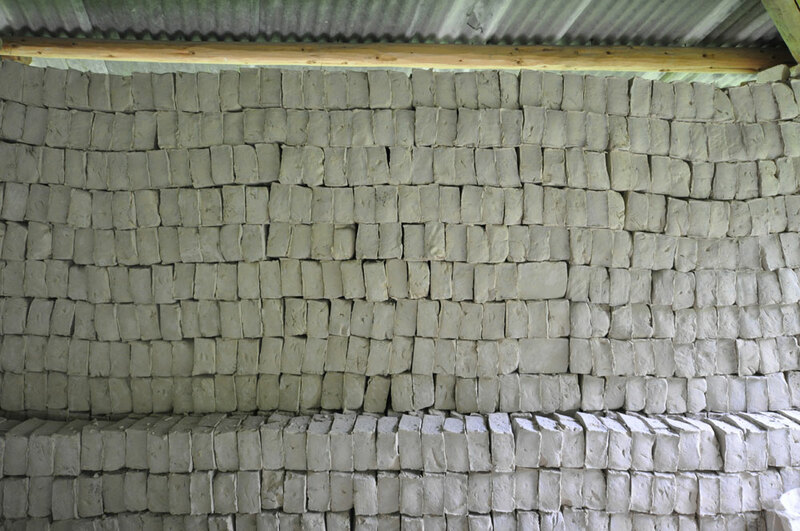 The clay is hand-pressed into millions of pieces that are baked and dumped into large sacks that, despite being made of woven Polypropylene, appear to be hand stitched. These are placed in vans and hand-delivered to studios, where each piece is painted by hand, then sent back for another firing, after which it’s hand polished and dried. For someone like me, a digital labourer whose work is based on remote communications and impossible-to-understand search algorithms, the directness, intimacy and raw human power of this production is overwhelming. It’s an unusual argument: an ancient social philosophy expressed through the concerns of the modern business leader – reducing waste, increasing efficiency, saving energy, adding value … But this apparent mismatch is to be expected; it’s simply one of the dozens of incongruities that spring to mind when considering his sunflower seeds – millions of pieces of ceramic, mass-produced but handmade, inspired by Communist symbolism but sponsored by a capitalist conglomerate, produced through pre-modern methods and displayed in a post-industrial space. The overlap between supposed opposites is fertile ground for Ai. He is continuously exploring it, intervening in it, inviting others in. 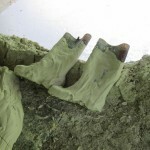 It’s a contaminated area, strewn with preconceptions and misunderstandings, and its impurity is what attracts the artist. As Ai speaks, it dawns on me that his installation is essentially an elaborate device for producing this condition inside the Turbine Hall; all of it – the mining, the moulding, the painting, the five vans, the thousand workers, the 100 million seeds – all of it amounts to a single attempt at creating an environment in which incompatibilities meet and multiply.